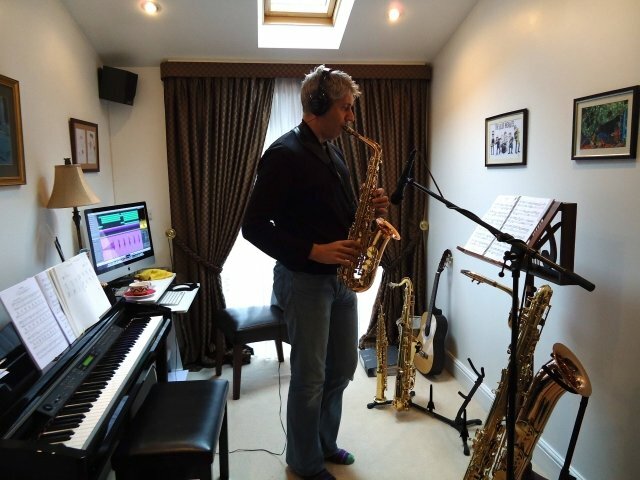 I am a very enthusiastic, friendly and dedicated musician with over twenty five years experience on the saxophone. Over the years I have played in a huge variety of music styles and groups: military band, jazz, swing bands, sax quartets and a rock, blues, soul and funk band - and I'm still going with the last one! I have always played with some group, somewhere and I have gained a great deal of performance experience and continue to play almost every weekend at festivals, parties, weddings, etc. I also play the piano, guitar, clarinet and flute. I started out teaching in 1991 after I gained a Diploma in performance at the age of 20 and have taught at schools and privately ever since to children and adults of all abilities. After a couple of years break from teaching I completed a Certificate of Teaching at the ABRSM in London in 2008 to get some professional input from some of the country's top music educators and was a truly enriching experience. My teaching style is to encourage the musician inside you to develop freely as an all-round, confident and complete musician, in what I can only describe as a person-centred approach. Learning to play any instrument is ultimately about expression and not just being able to press the right keys, play a thousand notes a minute, playing correct scales or passing the next grade. I love playing and teaching music and it is my hope that you will enjoy yourself and learn without even realising it.